DAVID LE/Staff photo. 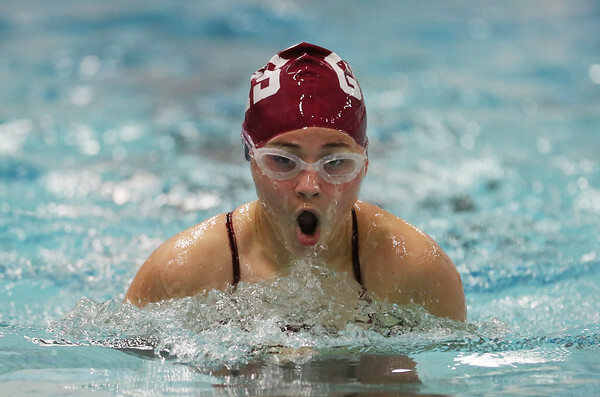 Gloucester freshman Olivia Kendall comes up for air during the breaststroke leg of the 200IM against Beverly at the Cape Ann YMCA on Tuesday evening. 12/22/15.